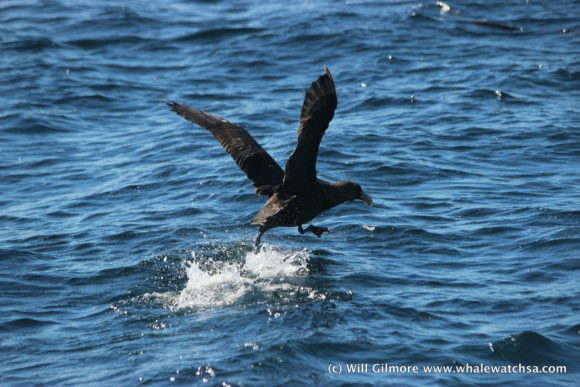 A great day at sea and lots of sightings! Dressed up in life jackets and raincoats we loaded up the boat and set off on our marine adventure. Firstly, we head into the shallows with hopes of catching one of the rare humpback dolphins. Unfortunately, we did not, as there are only 500 left in the waters of South Africa. Next, we then headed over to our sister company Marine Dynamics where we saw some Bronze Whalers very briefly before going to Dyer Island. 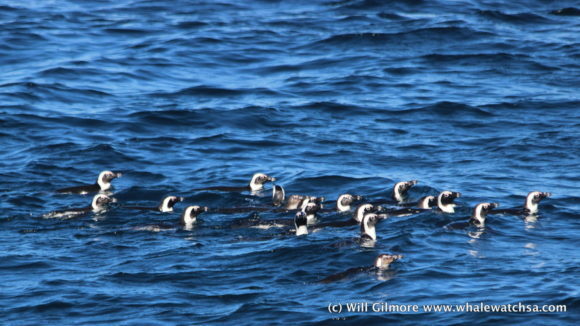 On the way to Dyer Island we saw two rafts of African Penguins at pearly beach simply swimming about. Upon arrival at Dyer Island we saw another 25 penguins on the island waddling around among all the other birds. 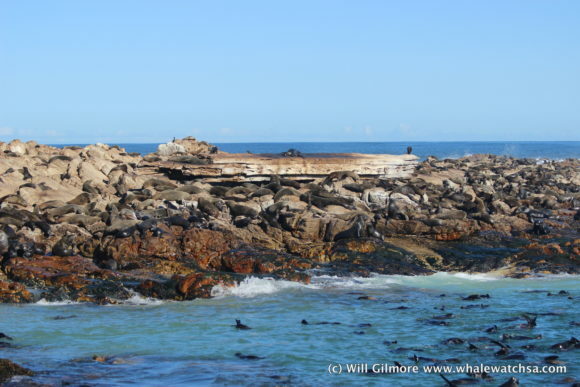 We then went to Geyser Island Where we saw over 60,000 cape fur seals. 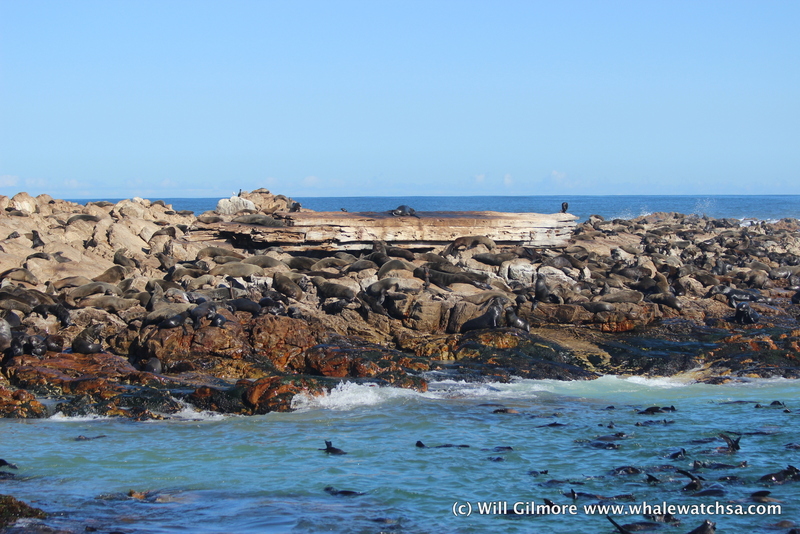 These seals were sitting on the rocks or playing in the water. 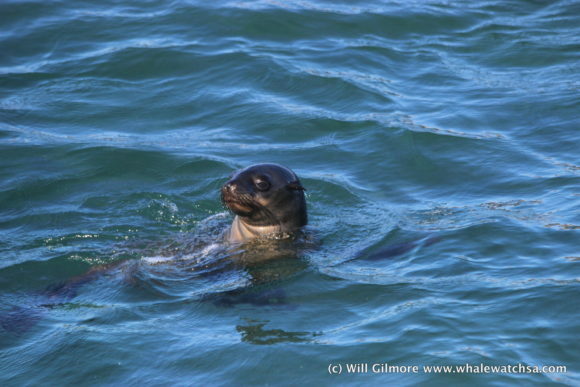 The seals are known for being the favourite snack of the Great Whites. Sometimes individual seals will attack and kill penguins on the way back from a fishing trip and eat there stomach full of fish while leaving the rest of the endangered bird floating in the water. We then went through the washing machine a patch of rough waters between Dyer Island and Geyser Rock and headed towards danger point. We had an exciting ride through the waters. Upon leaving the washing machine we saw a Southern Right Whale. When we spotted this whale we caught it just as it surfaced. Also known scientifically as “Eubalaena Australis” the whale only surface a few times before making it clear it did not want us around. We then headed back and past by danger point on our way back into the harbour.